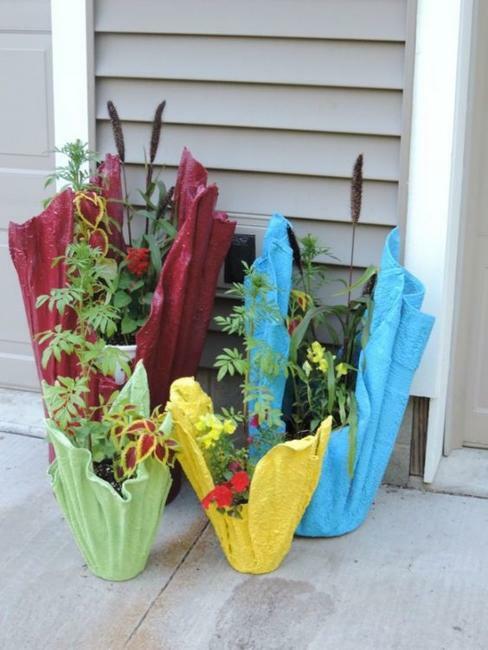 Outdoor home decorating with flowers make the world Green and bright. 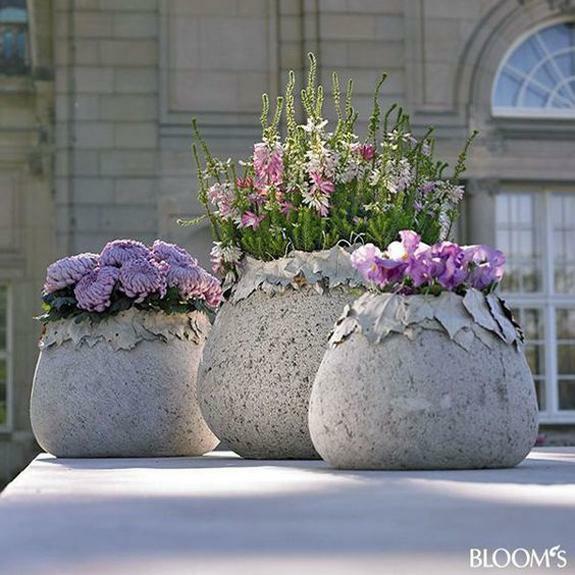 Flowers in concrete planters are an excellent way to create striking contrasts and enhance spring, summer or fall decorating. 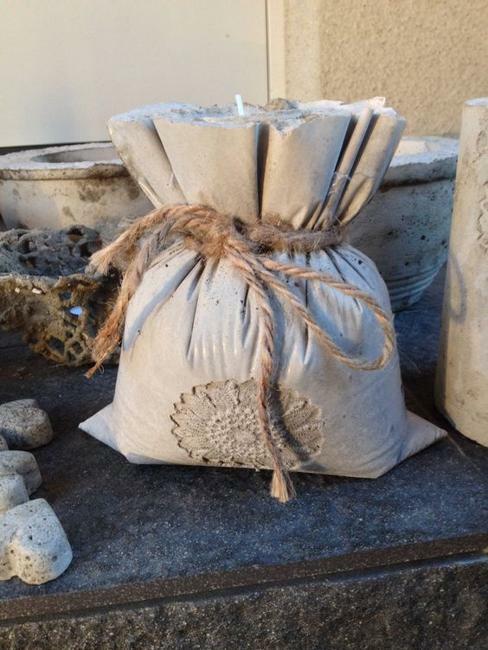 Concrete is a naturally attractive and versatile material for yard decorations. 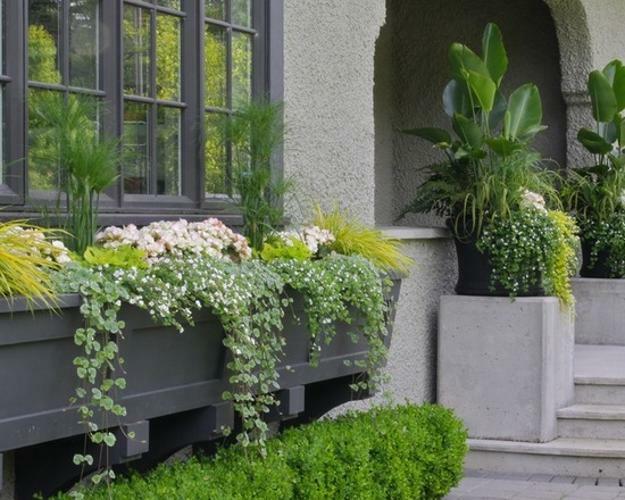 Neutral color allows designing geometric forms and pots in free shapes that suit many garden styles. 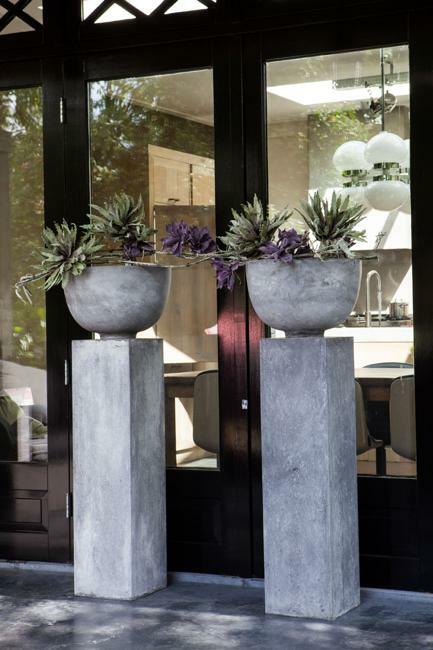 Concrete planters have appeal to many people and provide stylish containers for plants and flowers. 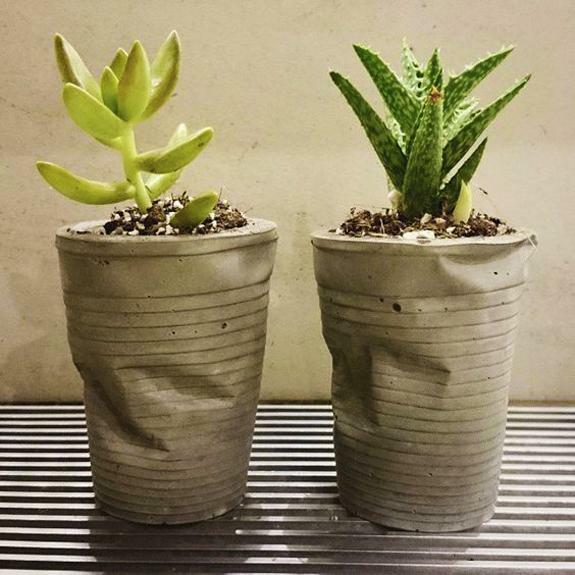 Its coarseness and the rough surface give DIY concrete planters a unique look. 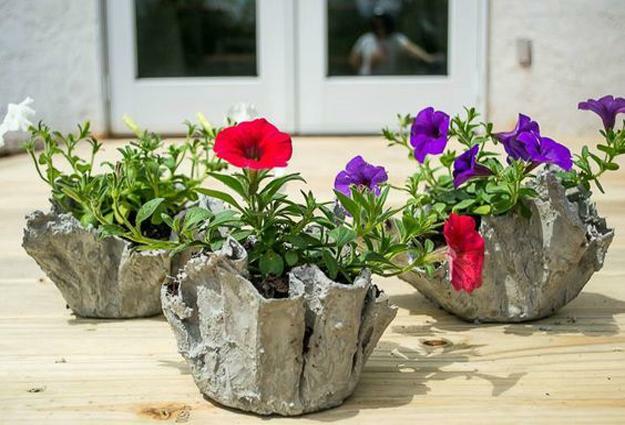 Concrete planters blend beautifully with wood, metal, rocks, and bricks. 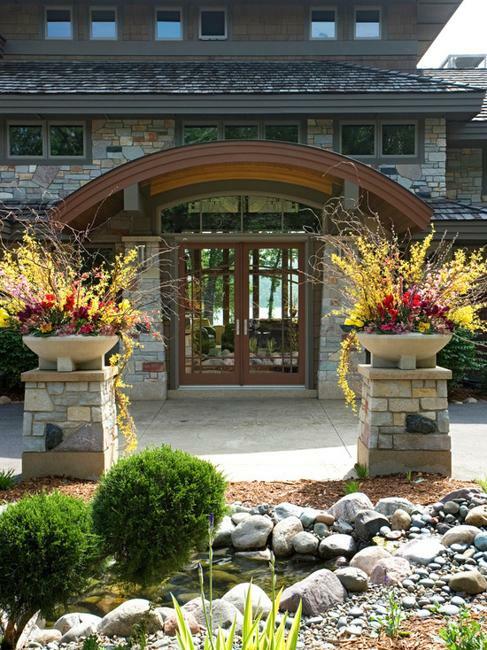 Spring, summer, and fall flowers look vibrant and spectacular in durable, hard-to-break concrete planters. 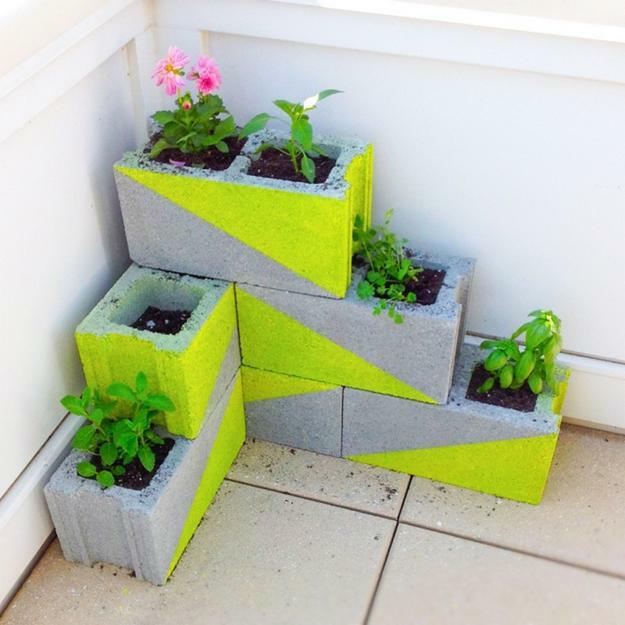 DIY concrete designs offer many different shapes, styles, and sizes for decorating with flowers and plants. 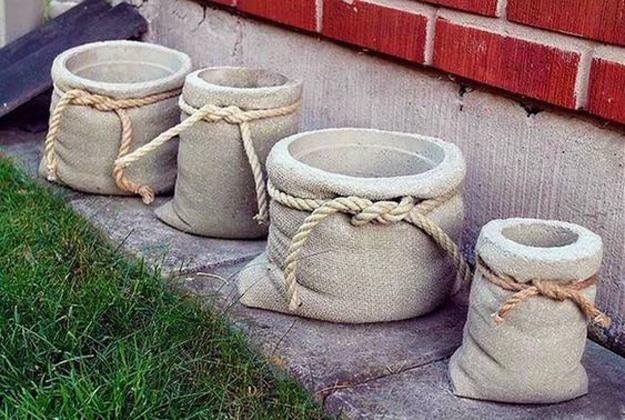 Outdoor home decorating look creative and stylish with giant garden urns, handmade concrete bags, contemporary buckets or cubes. 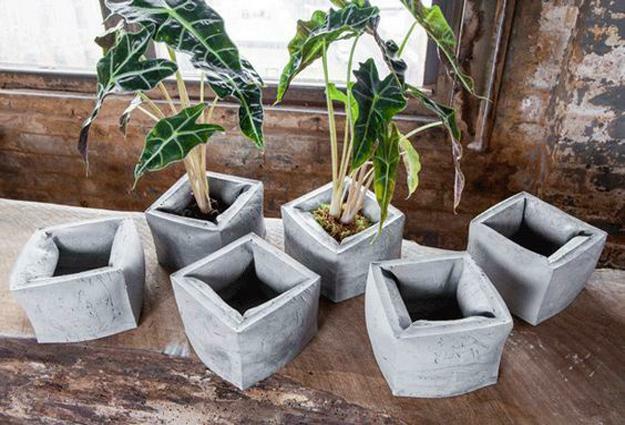 There are new concrete planter designs and traditional ones. 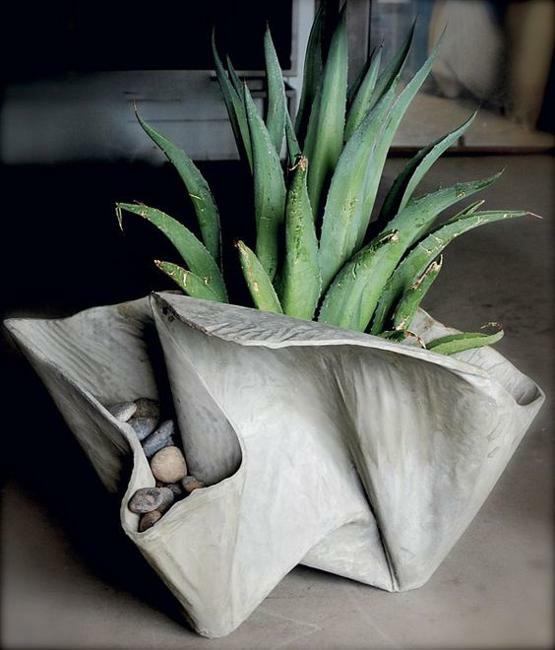 You can choose to make classic, geometric, modern, and creative planters for your beautiful flowers or small plants. 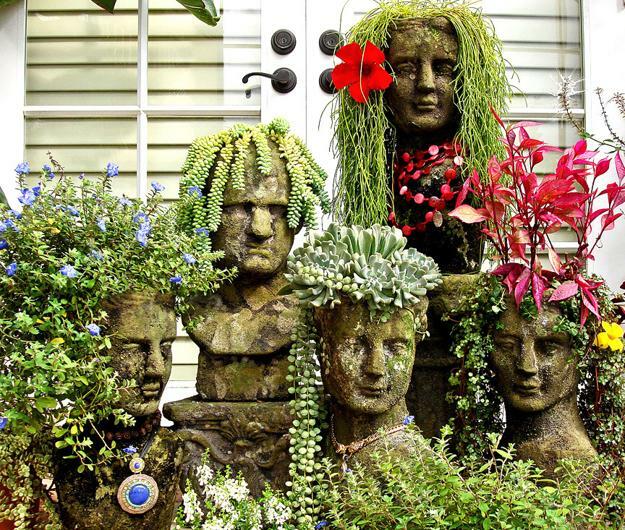 You can paint them, decorate with natural rope, tiles, seashells or rocks. 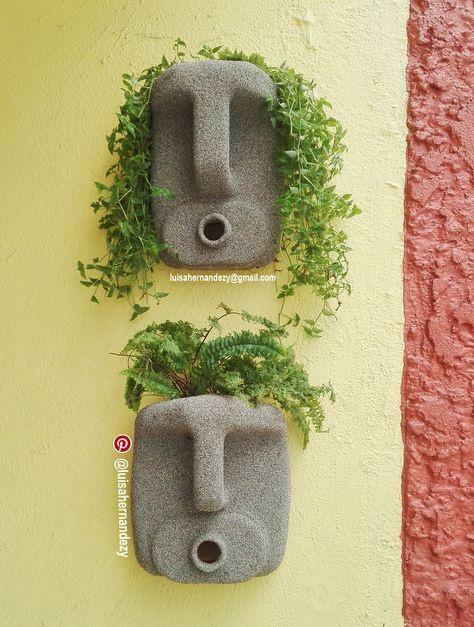 There are no limits to your imagination and creativity. 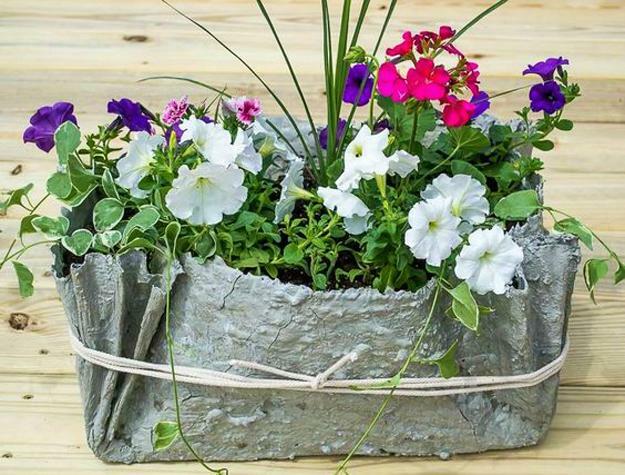 Check out the inspiring design ideas and look for an original way to add DIY pots with flowers to your outdoor home decorating. 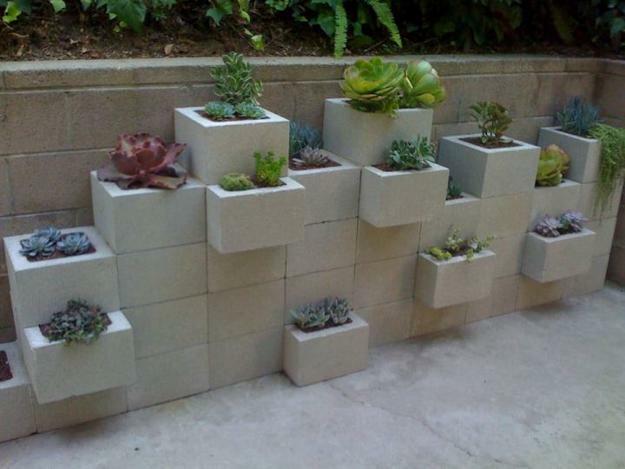 Concrete planters are heavy. 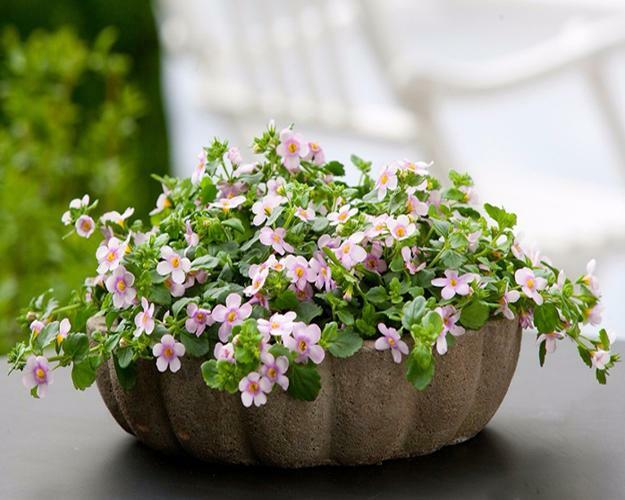 Choose the location in which you would make a container and place it before pouring down the soil for planting flowers. 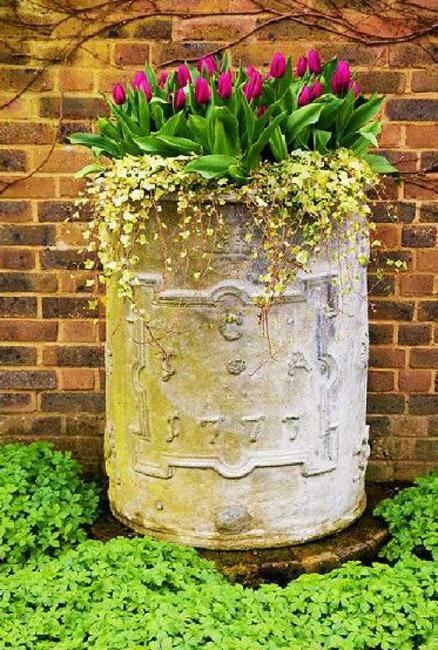 It is nearly impossible to move large pots later. 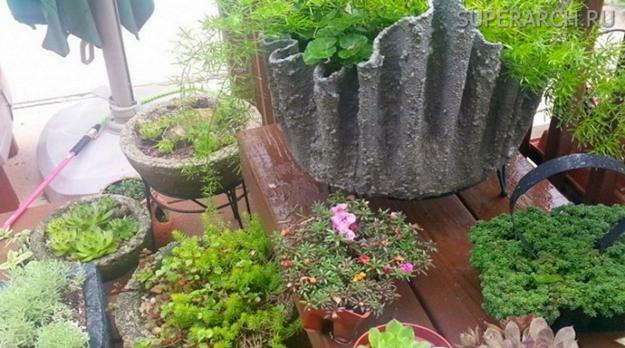 A concrete planter is durable and sturdy. 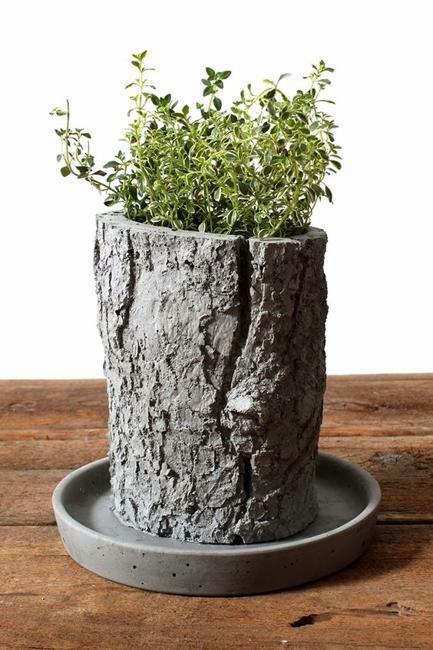 It withstands cold and sun heat. 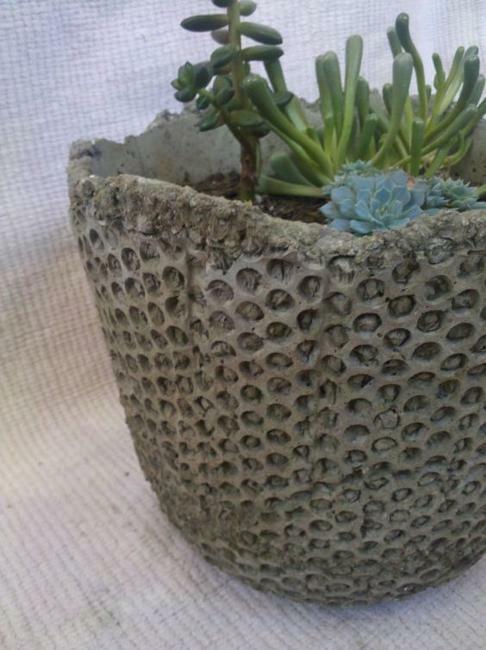 Concrete plants last, staying stylish and attractive for decades. 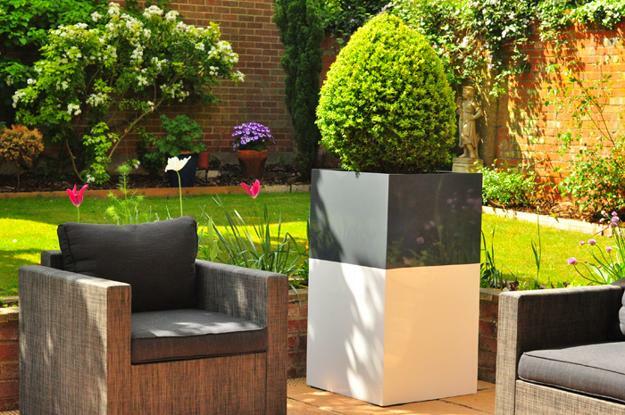 DIY container planters allow to save money and create original designs which add a modern look and contemporary feel to outdoor home decorating.